You can see how important it would be to know all of these things about a property you were interested in. 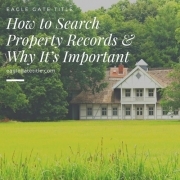 There are countless examples of property record searches being invaluable when preparing for a real estate transaction. So how does one go about searching St George property records? No matter the city that you live in, there will be a place where anyone can go and search for property information, typically in a place like the county department, city hall, county recorders office, public library, or county courthouse. The people employed there should be informed and prepared to assist in a search. However, many aspects of searching St George property records can now be done online. Today, many counties have digitized these records making it easier than ever to find the information you’re looking for. For example, perhaps you’ve found the name of the owner of a property but not their address. To locate the person, reports can be ordered online (for a fee) that will help you find them. You can search property tax records online and get information such as the owner’s name, tax ID number, and how much tax they owe. 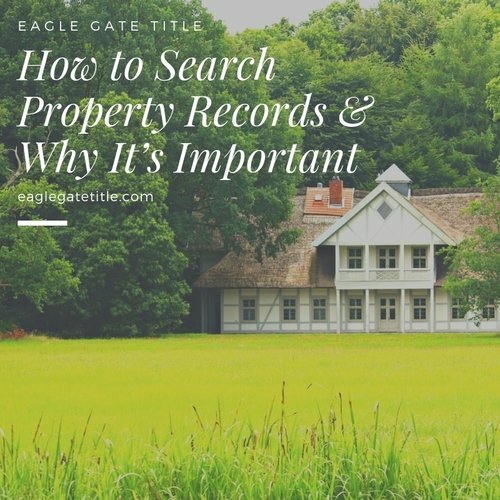 Another way to get St George property records is by contacting a local title company like Eagle Gate Title. We can produce property profiles for you that often include copies of mortgages and deeds. Title companies can also help you find out if an owner has any liens or judgements filed against them. Real estate agents can sometimes provide assistance in obtaining St George property records as they typically subscribe to services that allow them access to exclusive property information. There are more ways to obtain St George property records than what is described here, but the main message we want to get across is how important it is to have a title search done and to make sure that you’ve acquired all pertinent information about a property of interest before going forward with a purchase.